The library has themed book bags for preschools, kindergartens, and daycare centers. These bags are free to borrow. Bags include an activity sheet and can be checked out for up to 3 weeks. If you are interested in any of the book bags, contact the Children’s Department at 978-674-1529. The library will put together book bundles for you! You will however, need a library card to check materials out. Does your daycare/school have an agency card? Call the Children’s Department at 978-674-1529 for more information about agency cards or to make arrangements for a book bundle. 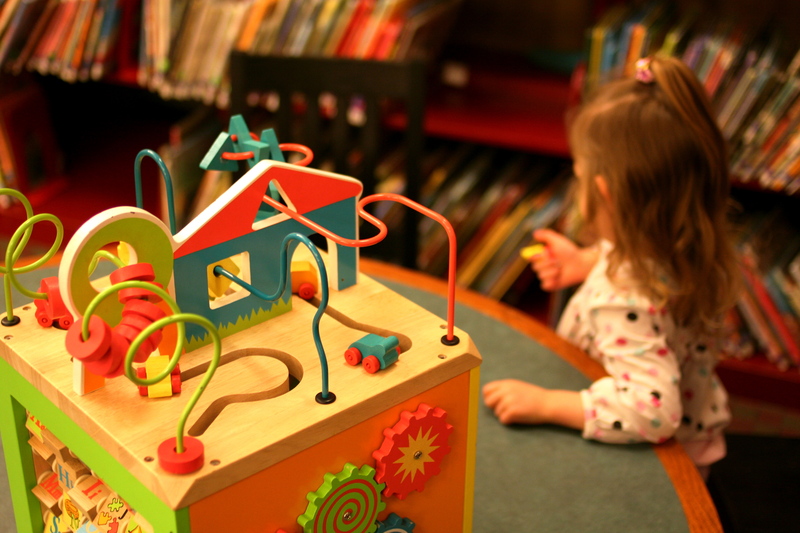 We are happy to offer scheduled library tours to groups of children. For grades four and younger, contact Molly Hancock at 978-674-1527 or at mhancock@lowelllibrary.org. For grades 5 and older contact Beth Brassel at 978-674-1543 or at ebrassel@lowelllibrary.org. We ask that you have more than one tour date available as sometimes we are unable to accommodate your first choice. The maximum amount of classes we can serve on a tour is two. The earliest we can offer a tour is 9:30 AM. If you would like to get library cards for your students, download the Children’s Library Card Application Form. Although most schools visit us for tours of the library, you can also come for your own storytime! We will also conduct programs for older students. Our children’s library staff is also very happy to arrange for in-classroom visits. For grades four and younger, contact Molly Hancock at 978-674-1527 or at mhancock@lowelllibrary.org. For grades 5 and older contact Beth Brassel at 978-674-1543 or at ebrassel@lowelllibrary.org. Please have more than one visit date available as sometimes we are unable to accommodate your first choice. We prefer visiting school classrooms instead of making presentations in auditoriums. We find the students are more attentive in the classroom. The earliest we can visit you is 9:30 AM. If you would like to get library cards for your students, please refer to our instructions in the next section on how to get cards for students. Although most schools contact us to come and talk about the library and our services, we will also visit schools to conduct storytimes and engage in storytelling and related activities. We would love to visit you! If you would like to receive information about the library call 978-674-1529 or e-mail mhancock@lowelllibrary.org. We look forward to hearing from you! Download a copy of the Children’s Library Card Application Form. Make copies of the application form for your students to take home for their parent/guardian to fill out. Please make sure the applications are filled out completely as we cannot process incomplete library card applications. Please make sure the parent/guardian has filled out the child’s information, not the parent/guardian’s information. Drop completed library card applications off to the Ground Floor Children’s Desk. Please include the name of the teacher, the name of the school, and a contact phone number. We will only process applications for first time library cards as often there are problems with replacement library cards. In that instance it is best for the child to come to the library with his parent/guardian.